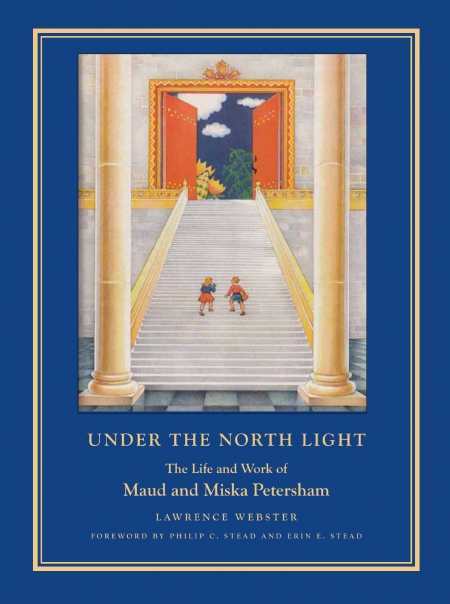 “Has either one of you ever written or illustrated a book without the help of the other?” inquired one interviewer of Maud and Miska Petersham. “We couldn’t do that,” replied the couple in unison. That response captures the essence of the remarkable collaboration of these artist-authors who set the gold standard for twentieth-century children’s book publishing. Four of their books were included in the highly competitive American Institute of Graphic Arts (AIGA) exhibitions during the 1920s and 1930s. Also, the Petershams won both a Caldecott Honor in 1942, for An American ABC, and a Caldecott Medal in 1946 for The Rooster Crows. Biographer Lawrence Webster is a nationally known librarian and consultant to nonprofits and libraries. While growing up, she knew the Petershams in Woodstock, New York during the heyday of their careers in the 1950s and 1960s. The tale of the Petershams, like the story of Marie and Pierre Curie, involves more than unparalleled dedication to career; it also celebrates the enduring love of a couple as passionate about each other as their profession. Known both for their talent and their ability to meet deadlines, the Petershams labored daily at drafting tables facing each other, positioned under the north light of the large window in their art studio. No interfering shadows intruded as the artists worked because Miska painted with his right hand while Maud sketched with her left. In this fashion, they crafted more than one hundred books together during their prolific five-decade career. Lawrence Webster reproduces more than 150 of the Petershams’ glorious illustrations, most in full color. Miska “loved to put color in his work and had a strong Magyar feeling for design,” said his wife. “The gay painted peasant furniture and the bright colorful embroideries he had known as a boy influenced his pictures.” The book also includes nearly thirty period photographs of the couple. Under the North Light belongs on the desk of every illustrator of children’s stories, accomplished or aspiring, as well as in the hands of anyone who loves children’s books or appreciates biographies of interesting people. Its no-nonsense descriptions of the hard work necessary to a successful career in collaborative art are sobering. But the real story here doesn’t focus on paying homage to the Puritan work ethic. Rather, Under the North Light is a tender and inspiring love story, one delivering on the promise that a couple can simultaneously nurture career, marriage, and family.